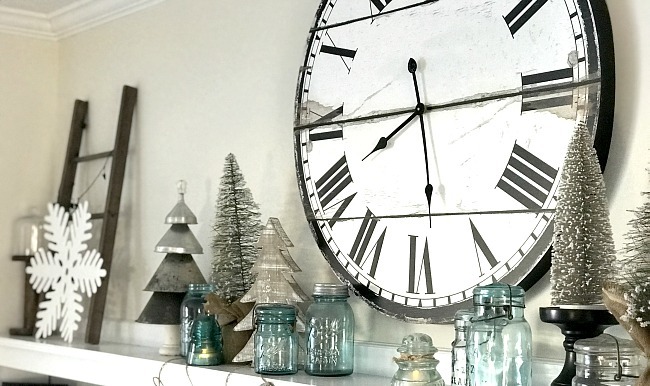 Create a beautiful winter mantel with Christmas leftovers! Putting away the Christmas decorations can be bitter sweet. 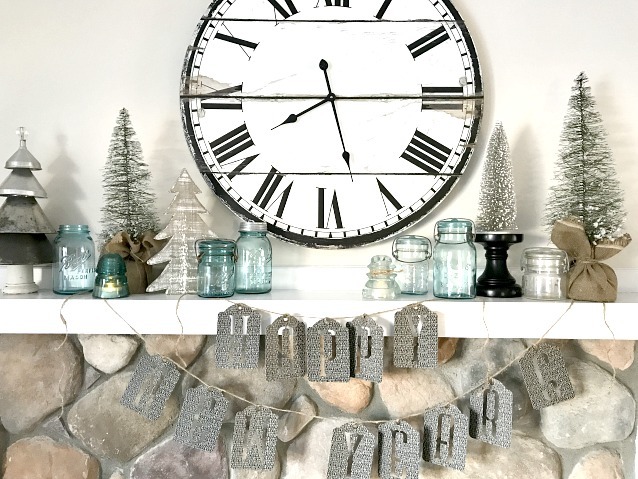 There are so many pieces I just love so I'm keeping them out this year and creating an icy blue winter mantel. I changed out my Christmas Mantel by removing the Santa, the reindeer, and the lights. 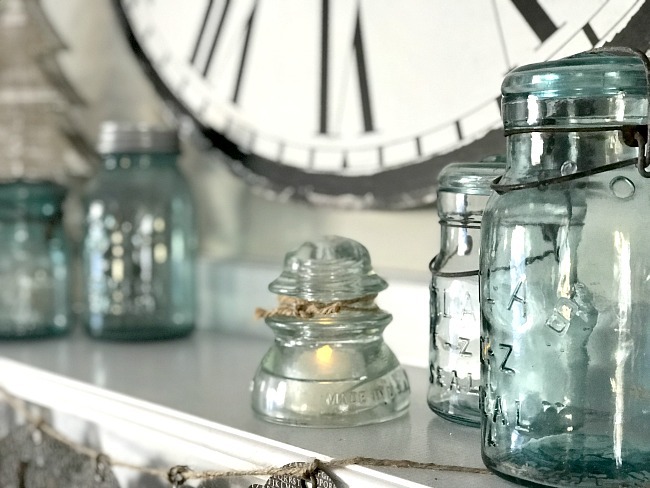 In their places I added my icy blue Mason Jar collection. 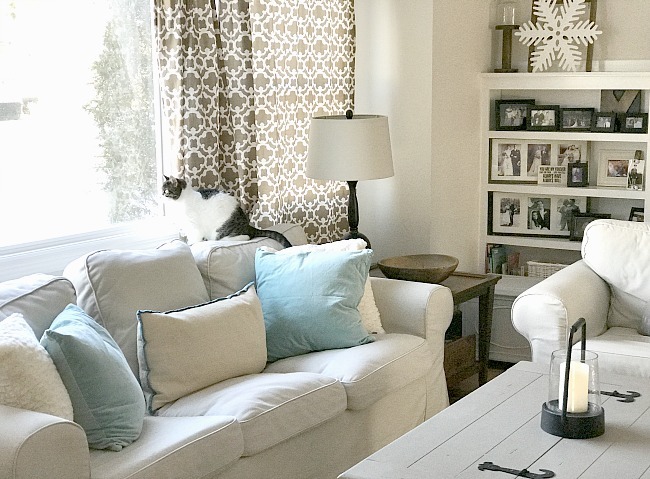 These colors are perfect for the cold winter months. 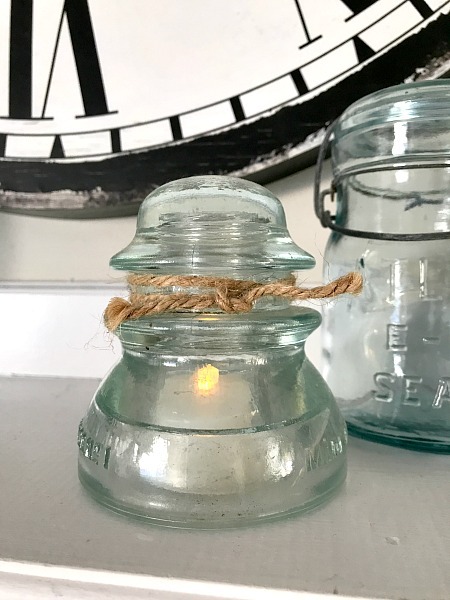 I added a battery powered tea light under the vintage insulators for a little sparkle. I matched the pillows on the kitty approved couch too! Leaving up those snowy trees just works for the winter and I barely had to move them. 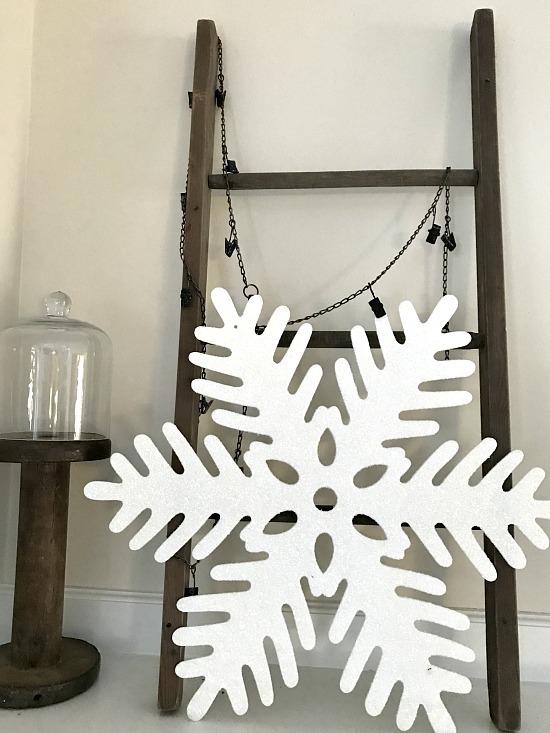 I added a giant glittered snowflake to my DIY mantel ladder which I leave on my mantel all year long. I even get to keep up my very favorite DIY funnel tree for another month or two. 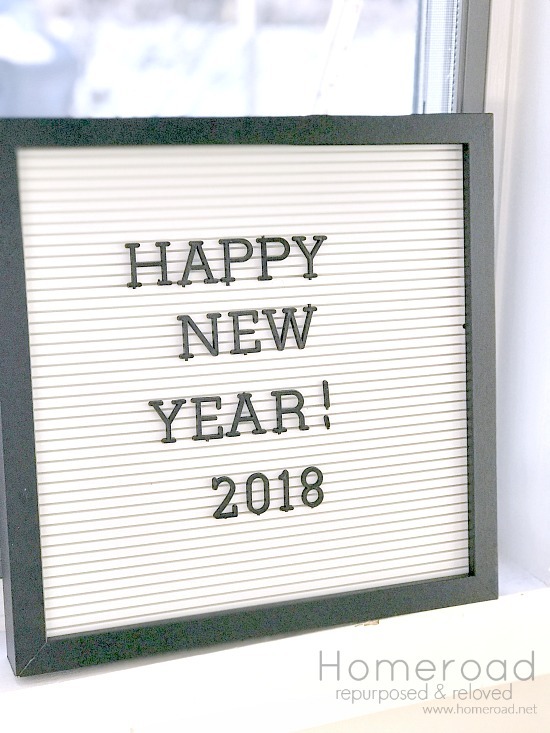 I wish all my friends and family an happy and healthy 2018! 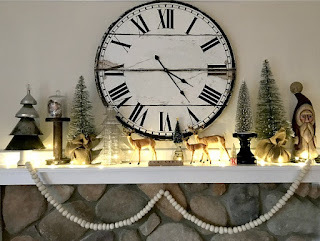 I love, love, love this fabulous creative winter mantel. Love the blue on your mantel. The funnel tree is a great idea! Thank you Vickie! I love that funnel tree! I would keep it up all year if I could LOL Stay warm! 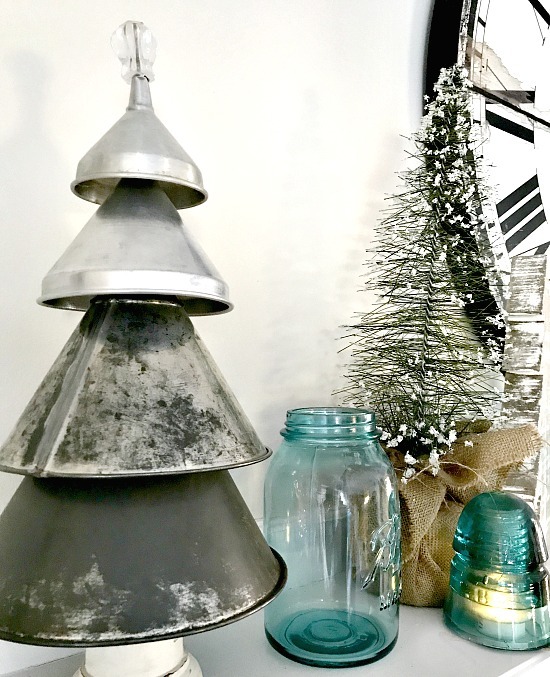 I love the way you've used those insulators for decor. Also the funnel tree is just wonderful. I love your blog and the way you have "previous" and "next" story at the bottom so we can move on to another project. Keep up this inspiring work! Thank you so much for your kind comment Barb and for your feedback on my previous and next stories.... that means so much! Please continue to come back and visit!